Far out at sea, and hidden by the fog of time, sails the Mary Alice and her crew - searching for a way home. But the mysterious ship is being hunted by a villain who will go to ANY lengths to track her down ...When a storm hits a small family yacht throwing a young girl overboard, John Blake dives in to save her and brings her aboard the so-called ghost ship. But trying to return her to her own time means going back to the one place where they run the greatest risk of being completely annihilated. 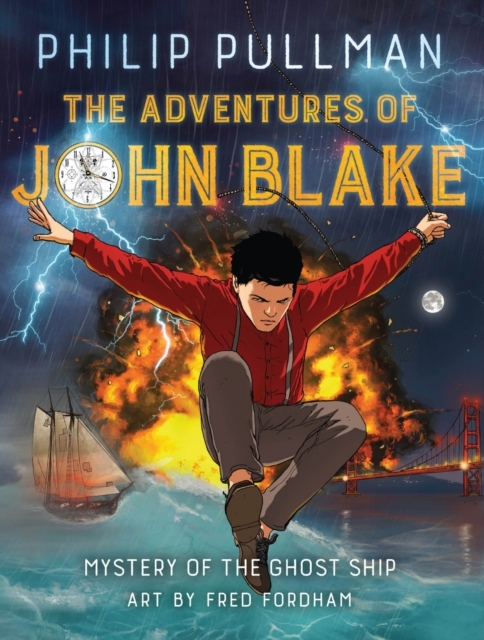 Join Philip Pullman's John Blake and the crew of the Mary Alice in an unforgettable time-travelling adventure on the high seas. With art by Fred Fordham.